Jungle Red Writers: Can You Guess Whodunnit? HANK: Ooh. Someone’s gonna drown. JONATHAN: How do you know that? HANK: They have a swimming pool, for gosh sake. JONATHAN: Is that the sister? JONATHAN: How do you know? HANK: Her fingernails are too long, and her skirt is too short. HANK: He looks too guilty. JONATHAN: Can’t you just watch the movie? And not keep guessing? HANK: What’s the fun of that? Oh, Reds, you get the picture. 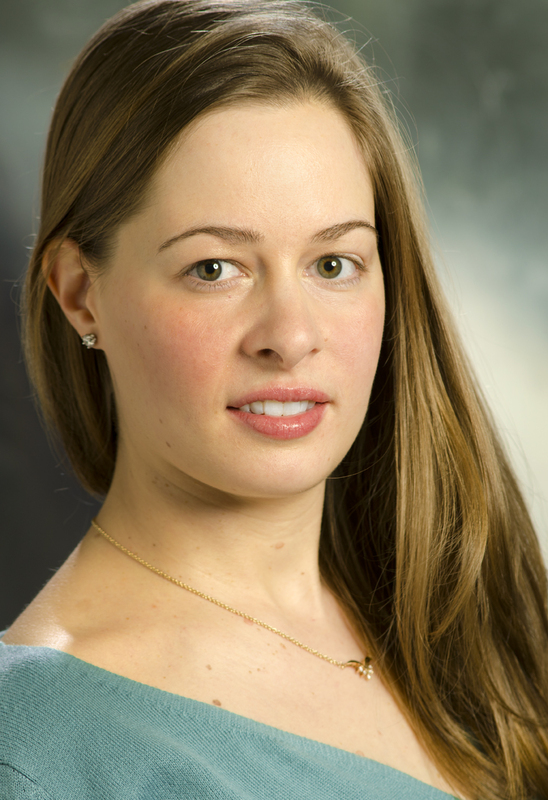 We are a species unto ourselves—as the wonderful Elizabeth Heiter explains. When I was younger, my mom (a math teacher) would give her high school students extra credit in the form of mind teasers – you’d have to use the clues to put Xs in a grid until you figured out the answers. To her students, they were a series of challenges throughout the year to help push them from an A- to an A. For me, they were just fun. I read Nancy Drew and The Hardy Boys by the hundreds (if only I still had those huge rows of books, because now my niece is reading the chapter-book versions…). So, it probably came as no surprise to anyone in my family when I began writing mysteries. Because I love to create the puzzle as much as I love to solve it. Bill Cooke: Haley’s father seems completely unconcerned that his daughter is missing. Does he have proof of claims that she ran away from an abusive home that he won’t share because he really thinks she’s safer on her own? Or is he calm because he knows exactly where Haley is for a much darker reason? Pete Varner: Haley’s friends claim she didn’t like her new step-father. Could the feeling be mutual? Jordan Biltmore: Haley’s older, college-age boyfriend was the last one to see her. Other students at Haley’s school watched him drop Haley off and drive away, but could he have snuck back around and grabbed her? Marissa Anderson: Haley’s best friend seems frantic for the police to find Haley. But a closer look shows she’s jealous of Haley’s life – and her boyfriend. Could she have been involved in Haley’s disappearance? The deeper Evelyn digs into Haley’s life, the more possibilities arise, including a connection to fellow agent – and her new boyfriend – Kyle McKenzie’s case. The only thing certain is that if Evelyn doesn’t find out what happened to Haley fast, she may follow Haley’s fate. So, readers, how do you feel about puzzles? Do you like them complicated and twisty; do you like to guess “whodunit” before the end? Or do you prefer to sit back and enjoy the journey and the surprise? HANK: Cannot wait to hear! You know I'm firmly in the figure-it-out camp! 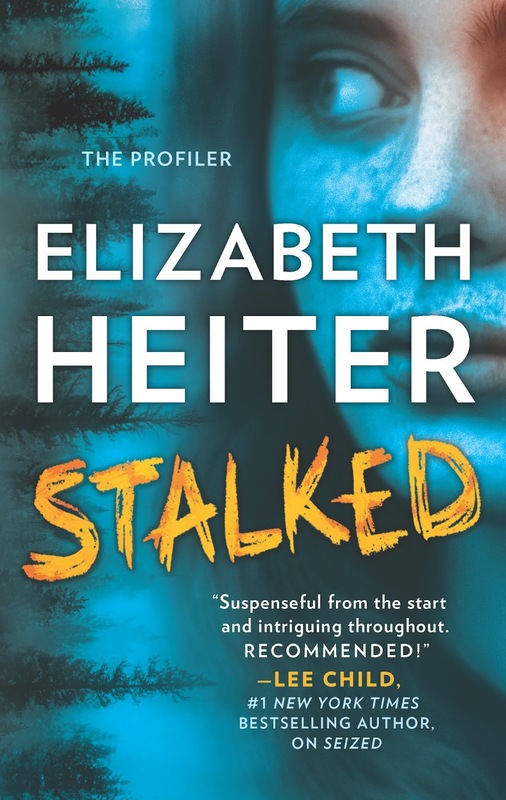 “Stalked” is already on my must-read list, Elizabeth. I’ve really enjoyed the other books in the series and this one sounds terrific! I love to figure out the puzzles . . . complicated and twisty is exactly what I like so, naturally, I really want to figure out who did what before the big reveal. And it’s always more fun when the “whodunit” isn’t so obvious that I’ve figured it out before I’ve finished the first few chapters . . . .
Great! Happy to meet here Jungle Red Writers, and it’s good to see list of their latest book.one of my friend suggest me this awesome website and it is really very inspiring me as I am a dissertation writer and happily helping those students who are looking for marketing dissertation help - http://www.dissertationhelp.uk/marketing-dissertation/ from professional dissertation writers and are also interested in making career on education field at Dissertation Help UK. I am also suggesting this article to more people so they can get better chance for future and also support lonely people to fight for them corner and being champion with the positive impact & live happily. Thanks. Like Joan, Stalked is already on my TBR and wish lists. However, I haven't read the other books in the series. As I have loosened up my once rigid obsession about never reading a series out of order, I may just go ahead and read Stalked first. I do enjoy a good puzzle, so I'm excited to get to this book. And, speaking of puzzles. Have any of you heard of the "escape room" games that are apparently a hot item now. My daughter and her family went to the newly opened facility the other night and did the Pirates Escape Game. You get pieces of a puzzle to solve in order to escape the room (although by law, they do have an open door in case someone needs to get out before the hour is up). Here's the description. The craze that’s sweeping the nation is now in Evansville! "Each Escape Room is a real‑life brain teaser for a small group — you and your team will be locked in a room where you’ll need to solve puzzles, find clues and crack codes in order to escape. You have one goal: work together and escape the room in under 1 hour! Play with your family, friends or co-workers and see if you have what it takes to make an escape! The origin of “escape rooms” was initially popularized in Japan as a video game. Since it’s start, it has been transformed and re-imagined into real-life game simulations reinterpreted in cities across the world! At Escape Evansville, you and your group will be challenged with 4 unique rooms — The Pirates Of The Ohio, Taken, Zombie Escape and the Enchanted Library. Teams will be tested to use their surroundings, observations and problem solving skills to escape the room by hunting for clues, codes, keys and more! Perfect for all ages, Escape Evansville is great for groups, corporate team-building, outings with friends and families and more!" The reason I mentioned the above is because I think mystery readers would love such an experience. And, it seems in line with your new book, Elizabeth, rather a locked room type of mystery. Now, going to Amazon to get Stalked on my wish list. Make that three of us with Stalked on the TBR list. I recently read the first book in this series and am hooked. I too am a puzzle person, and I love figuring out books, TV shows, movies for the who dun it. Of course, I love Clue, and algebra. Solving for X made it all worthwhile! 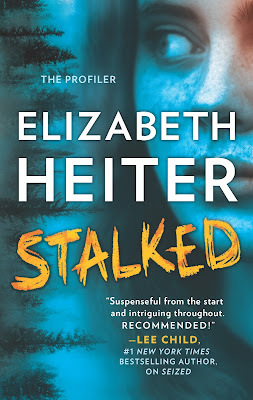 Elizabeth: Like the others, Stalked was already on my TBR list after reading some other great reviews. I am definitely a puzzle solving person. Loved solving word puzzles, riddles, jigsaw puzzles as a child. I was always curious and wanted to find the solution. I like to guess who did it and watch how it all comes into play. I especially enjoy it more when the author puts in that little twist that makes me go "WHOA" as I didn't see it coming. I was lucky to read STALKED and it was a terrific read. Not to self-promote, but one of the characters in STALKED is featured on my blog today. I hope you stop by. Are we competitive about games too? Do you play banana grams, scrabble, do you do crossword puzzles? I used to think I was very good at Scrabble, until I played Jonathan. My husband is so fabulous, that I seriously refuse to play with him. It's just too humiliating. Maybe if I'd approached algebra with the same curiosity I'd spent on mysteries I would have enjoyed it more! I would never turn to the last page of a book to see what happens; trying to solve the mystery along with the sleuth is just part of the fun of reading crime fiction. Hank, another author friend, Rod Pennington, does the same thing, and he is always predicting (with a great deal of accuracy) the culprit. His family hates to watch movies and TV shows with him. Welcome to Jungle Reds, Elizabeth! Stalked sounds very intriguing. I'm not much of a puzzle fan (short attention span) but I do love it when the 'puzzle' in the book I'm writing snaps into place. Like yours, my plots are always about secrets -- who knows them and who doesn't. Wondering, did you end up majoring in math or english in school... or something else? OH, great Karen,--maybe Rod and I can watch in the other room! My confession: jigsaw puzzle. I really really..hate them. And will not do them. Why do you suppose? Ankh, I'm with you on jigsaw puzzles, but I love any other kind. Isn't that why I read so many mysteries, for the the challenge of sorting the clues and competing with the sleuth to get there first? But my admiration for you who construct these puzzles is immense. How do you do it? Do you have a scenario in mind, and outline of sorts? Or do you, as Ann Cleeves says she does, just start writing and let the story tell itself? It is mindboggling. I am pretty sure that writers in general and crime writers in particular are some of the most intelligent people on earth. Do I sound like a fangilr here or what? Ann (nan? nna?) i'd love to hear how Elizabeth does it! I like figuring out the puzzle, but I like it when the author sweeps me into the story at the same time. Hank, my family is incredibly competitive with board games. Elizabeth, how fun to have you! I love your setting out of the potential suspects and motives. Looks like a good outlining tool to me:-) And I am of course always fascinated by the "locked room" aspect--how did the girl disappear? In our family, we always speculated during commercials, and had to do so quickly because commercial breaks used to be so much shorter. That was part of the fun of watching together, seeing who could guess right. My quickest was jokingly predicting the ending of the Twilight Zone's "To Serve Man," to which my mother responded, "That's disgusting." Elizabeth, I love the concept of a girl disappearing from inside her high school. I definitely need to add "Stalked" to my TBR list! I usually have a sense of who has done what when watching a mystery. If I find myself asking, "now, what are you doing here?" I know to keep my eye on that character. I try to keep my opinions to myself, but my mom and I like to watch things (on different coasts) and state our theories. The one further ahead does not confirm or deny the theories, and it's always entertaining to see where our imaginations go! "Stalked" sounds fascinating - love a good puzzle! And Kathy, the locked-room games are loads of fun. We have two separate businesses in the Dayton, Ohio, area that offer them now, with 4-6 variations at each location so you can always go back for more. A group of six (7?) of us did one last year and JUST beat the one-hour timer. My husband and I like to guess what is going to happen, who gets killed, who did it, etc. when we're watching TV. Midsomer Murders is a favorite. Our code for victim is "red shirt". As in he/she is wearing a red shirt, per ancient Star Trek shows. You knew that crew member would die. So, I like to try to figure it out as we're watching the movie. I'm the opposite when I'm reading. I like to let the story unroll and enjoy it as it happens. Pat, I love "Midsomer Murders!" I may have to watch one this afternoon! Cyndi, it seems to me I saw either a movie or an episode of a crime show with that very scenario, sometime in the last year. Karen in Ohio: See?! Good idea, but someone beat me to it (it's been a rough six months for so for my writing...). I think I fall in the majority here of liking to try and figure out "whodunit" as I read. 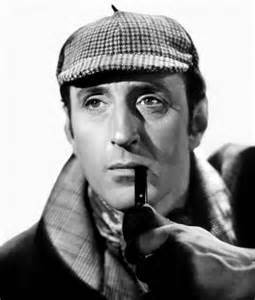 Maybe because I read so many mysteries, or maybe because I write them, I tend to be good at it. So when an author can surprise me (but I still feel they "played fair" by leaving clues), I'll buy anything from them! As for the creation process, I'm an outliner, so I always know before going in who my villain is and what the big twists will be. That lets me sprinkle in the clues organically as I go, and throw in red herrings with logical reasons for their suspicious actions! ;) But I don't know every little thing that will happen along the way either, so inevitably my characters do a little detouring (usually when this happens, I find that it works better for the plot anyway!). Hank, I love that you refuse to play Scrabble with Jonathan! I love all of those games too and I confess that my critique partner is nearly impossible to beat at Scrabble (but I still try!). Dru, thank you for the shout-out about the post over at Dru's Book Musings. I've got a special scene from Linda Varner's point of view over there today (and you can read the opening of STALKED on my website). Oh, ELizabeth, I love when an author or writer surprises me! That's the best. I'm so suspicious, it's difficult to do. And yes, Scrabble is OVER in this household. You cannot believe how good Jonathan is at it. I refuse to be crushed. And I applaud you. Hank, we had a great time in our locked room! Everything from codes, to cyphers, to logic problems, to combination locks - all to be solved by the team before time runs out and the door opens. One clue solved leads to the next, and the next. Each of the rooms in our local facilities are themed: Kidnapped, Theft in the Museum, etc. I'd love to do it again, in a different room. But I'm guessing the right team makes all the difference. Since reading my first Nancy Drew mystery in the 4th grade, reading mysteries to try to figure out all the clues before "The End" is a favored reading delight to current day. I also delight in putting together jigsaw puzzles although I haven't worked on any for a long time. I'm delighted to learn of the invitation for Jenn McKinlay to join the Jungle Red Writers as it becomes an automatic introduction to Rhys Bowen, Deborah Crombie, Julia Spencer-Fleming, Susan Macneal, Hallie Ephron, and Ingrid Thoft and are now “new” authors on my wish to read list. What an awesome way to begin a new year! Thank you for the introduction Jenn McKinlay! Happy New Reading Year Everyone!